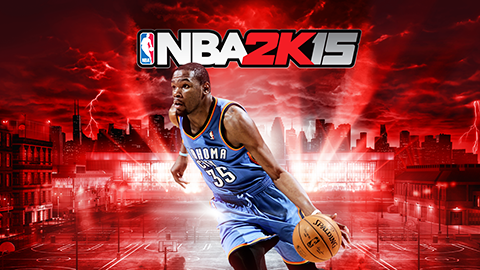 Here we have compiled a list of the most common problems and fixes for the PC version of NBA 2K15. Before you install the game, be sure that your PC meets the System Requirements to play. If you're seeing the SYSTEM_SERVICE_EXCEPTION – 0x0000003B error message, it means that your operating system is out of date. This problem appears to be more common on Windows 7 OS that never ran a Windows update. The solution to this issue is to install the latest Windows update, or you can directly install the hotfix from Microsoft - http://support.microsoft.com/kb/980932. NBA 2K15 requires a 64-bit version of Windows 7 or higher. If you are still using a PC that runs on the 32-bit version of Windows, you may want to consider upgrading. To find out if your computer is running a 32-bit or 64-bit version of Windows, open System by right-clicking 'Computer' on 'Start menu', and then clicking 'Properties'. Under 'System', you can view the system type. There may be multiple reasons as to why you might receive the 0xc00007b error message when trying to run NBA 2K15 on a windows machine. In most cases it's .NET framework causing issues. This can easily fixed by re-installing latest .NET framework from Microsoft: http://www.microsoft.com/en-us/download/details.aspx?id=30653. It's a known issue and 2K Sports are working on a fix. This problem tends to happen more often during cut-scenes. Some users had success by enabling the V-Sync in the video settings. This error results from the improper delivery of necessary game files. You may need to completely re-install NBA 2K15. For Steam copies: Right-click NBA 2K15 from your library, select properties, select local files tab, and click the “Verify Integrity of Game Cache” button. Wait until it says "All files are validated." If you have any problems of your own that are not mentioned in this article, please describe them in the comments section below.